Welcome to Saturday Nite Special #14! If you’re new here, kick off your shoes and join in! The theme is always a DIY themed anything goes, so feel free to post your project, past or present that you’re proud of so we can clap along with you! Party starts at Fri night and ends Sunday 11pm pacific, so you have all weekend to join. And to the Followers Event #7, the final draw! 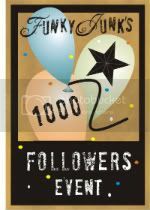 This little shindig is all about celebrating the milestone of 1000 + followers. No need to be a follower nor subscriber to enter, however you sure are welcome to become one. 🙂 Watch for the Comment of the Day for some fun additional banter. Ho boy, this weekend we have games, eye candy and an amazing draw that will knock your socks off! Are ya ready? How do you balance the blogging thing with real life? And how about a little warmup for SNS? I have a little something of everything from SNS #13 last weekend. Something soft… Sweetheart details sweeten up a plain pillow by Crafty Sisters. LOVE the 3D effect it has. Something timeworn… Sheet music side table by Mustard Seed Creations. The two levels make the PERFECT home for added detail. Something photo worthy – A wonderful idea for ANY photo cards by For What It’s Worth… Or Not. Have you met Polly from Make Mine Beautiful? Oh my gosh, this gal is talented! She’s a decorator. Look at the detail on this incredible lampshade. I KNOW!! She’s a crafter. 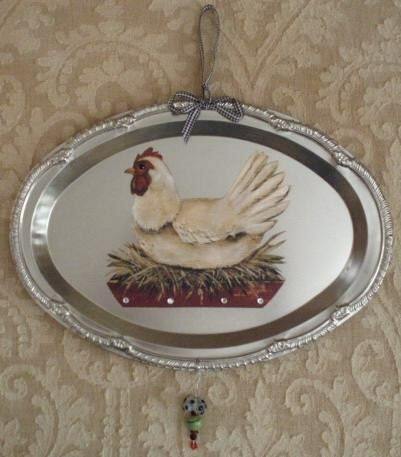 This lovely platter is from her fully stocked ETSY shop. And last but not least, she’s the mastermind of a new fabulous DIY product you will yearn to have! And she’s an expert seamstress. These, my fellow DIYers, are must have WORK APRONS hot off the press. They are beautiful, functional, and a must have for any gal that totes anything from art supplies to tools around her environment. (her new store with the aprons will be running Sat) This is a new endeavor for Polly. She’s left the corporate world and is now officially devoting her Etsy lifestyle as her full time employment, putting her heart and soul into what she creates. Want to see more? Ohhhh you will. Polly has a special (one click) post on her blog all ready for your visit. Dash down there as fast as you can and select which item you’d like to have if you won the giveaway. There are four choices this round, along with colour choices in each! Please give her some comment love and snoop around while you’re there. You’ll be blown away with what you see. And if you follow her, you’ll see all her latest creations as she makes them. 1. 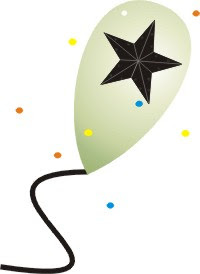 Visit Polly’s blog HERE to choose your giveaway item you’d like if you won. 3. Make sure you enter each giveaway listed below! Look at them all now! Whoohoo! 4. And don’t forget to link up your optional DIY project to SNS if you have one. (not mandatory to win draw) Please do link back to the party within your post so others can also have the opportunity to join this amazing giveaway opportunity and help Polly get her name out there. LOVE that bifold door turned headboard. AMAZING! And the table with the sheet music…too cool. – I think I have too many. I tend to be pretty diverse in all things creative, however my alltime passion is creating new uses for repurposed items. ie – a wagon for a coffee table, etc. My deal is authentic, that’s why you don’t see me do alot of craft type projects. ie: I’d rather use canning jars as is for candles rather than make something for candles. Simplisic realist function in it’s natural antique version. – drywall repair. NOT fun. Don’t care much for dapping either, although I still plan to do a how-to on it. One year. – I admit, I’m struggling with it. My son jokingly asked the other day, “Do you love blogging more than me?” Although it was a joke, the fact that he even thought of it shook me up abit. After this party week I’ll be streamlining my time online more efficiently. He really has to come first. – a new computer that worked well would be a great start. Why do mine always fuss and whine so much?!? – I’ve touched on welding but would like to know enough in order to create something with it. And I’d love to work under a woodworker for a period of time to learn how to work with wood and build. Ohhh I’d love that. And I want to do a mural. To have the power to make anything that buzzed through my mind would be absolutely surreal! One day at a time, I’ll get there. Warm neutrals and whites for backdrops, lots of warm woods with touches of black accents… LOVE. I like pops of colour here and there, however my happy zone is in a warm tone on tone environment chalk full of rustic elements. – I think it’s called rustic industrial, with a pinch of cottage/country in the middle of a lake beside a cornfield. (?) I gravitate towards time worn distressed neutrals and woodsy elements, rough textures, plaids, with black and metal accents. If this taste has a name, I’d sure like to know what it is. Antiques in their natural state drive me into a FRENZY. I see as much beauty in a rusty pipe as another would freshly painted. I love junk. I love to be in my gardens. My ‘specialty’ would be incorporating junk into my outdoor spaces. Anything that deals with the bathroom. How do you balance the blogging thing with real life? Truthfully, not well. I don’t know how I’ll do when the weather is nice. We ‘live’ outside as much as we can. I think I’ll have to get a laptop. Something you want to change: I would like to figure out what I want to be when I grow up. My son starts kinder in two years, and I don’t think I’ll be staying home after that. After spending several years in the corporate world, I know I can’t go back to it. A skill you want to learn: Hubs has promised to give me a few lessons in soldering and welding. I would love to be able to make some of my junky creations without having to rely on him for that aspect! Current color love: This time of year, I always crave green. Being covered in white is now making me crazy! I’ve just recently realized that I am a neutral girl that pops color in with accent pieces. I’m a flea market/thrifty girl. For the giveaway- I am in love with Polly’s stuff. She is super talented! I want, no- NEED the Farmer’s Market Apron (done in color choice #1). The townspeople already think I’m a lunatic because I roll around town in my bright pink rose wellies. If I added the apron, they would call in the shrink! I’m kidding (ish) but seriously, I thrift on Fridays and that apron would make my life so much better. Weird- an apron would make my life better… yes, I believe it would. First let me say that I love your blog!! I also love Make Mine beautiful! You are both inspiring. All of the aprons are so lovely but I think I like option #3, The Everyday Crafter in the color option #1 with the tulips and the black.. I love red black and white together! If you were a blob of paint… (kidding!) I would definitely be black paint.. I have black paint on me so often that sometimes I dont even notice anymore lol..
What’s your DIY specialty/passion? I love to paint things.. handpainting.. I love doing shading work on intricate details! I learned to do this when I was in Jr High when I did ceramics and I guess it just carried over..
What’s your DIY dread? Anything electrical. Some people can just put up chandeliers and install anything but it terrifies me! How do you balance the blogging thing with real life? Im new to blogging and not into it much yet. I only have 5 followers and I am sure that they probably regret following me by now lol. Ive been moving and organzing and havent done anything crafty in way too long! 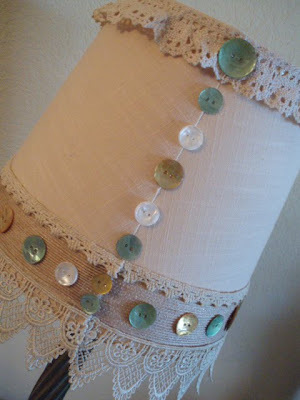 A skill you want to learn:I want to learn to sew! When I was a child my mother tried to FORCE me to learn, and that was all the more reason for me not to learn at all.. Now I wish I had paid more attention! Current color love: Berry? That color of purple that seems like it has black and metallics mixed in with it.. I love that! Also Silver!! Like mercury glass.. Went on over and would like the flea market apron with option 3 fabric if i win. hmm. should think up a SNS I guess. Think I’ve shown all my projects lately. this game sounds fun…so I’ll play along. If you were a blob of paint… (kidding! )…I’d be dried out on a butter tub lid (brush included)! What’s your DIY specialty/passion? Any job I can complete start to finish… IN A TIMELY MANNER! What’s your DIY dread? Starting a DIY job and not finishing. How do you balance the blogging thing with real life? There is a Balance? Something you want to change:Hmmm… Not enough room in comments…skip it. A skill you want to learn: To balance blogging and REAL LIFE! What’s your decorating style? No style– I USE Ooops! paint. If I was a blob of paint I would be hopefully be very colorfull but probably a bit chippy around the edges. What’s your DIY specialty/passion? I was I could specialise in anything! I like way to many things, but I guess furniture makeovers and sewing are my biggest pashions. What’s your DIY dread? That I’ll run out of places to put my newest find hence forcing me to stop hunting. How do you balance the blogging thing with real life? I have no idea! I am not balancing at all. Tips please! Something you want to change: My impatience. When I get my mojo going I am always diving into to fast and forgetting about the all important prep work. A skill you want to learn: The real upholstery stuff, where you work on the innerds of a chair of couch too. The giveaway I’m choosing is: The everyday crafter apron with the cherry fabric and my name: Songbird on it. * What’s your DIY specialty/passion? Painting furniture in bold, vibrant colors. * What’s your DIY dread? Someone telling me that I MUST sew something to finish a project. I dread learning to sew. Holds no interest for me. * A skill you want to learn: every power tool known to woman. * What’s your decorating style? Not beach-cottage, not French-cottage… Is SUESS-Cottage a choice? If you were a blob of paint… I WOULD BE PINK! The giveaway I’m choosing is: Workroom Apron..option two for fabric choice!! Love the Everyday crafter apron, how cute is that name tag? Thanks! I love the Workroom Apron with Option #1 fabric. Thanks for the giveaway and for hosting! What’s your DIY specialty/passion? Sewing for the home! What’s your DIY dread? Painting tight spaces. How do you balance the blogging thing with real life? TRY to do it when the kids are at school. Something you want to change: My upstairs balcony. A skill you want to learn: Power saws including miter and jig. Current color love: I’m starting to like gray! What’s your decorating style? French Country with a bit of contemporary. The giveaway I’m choosing is: Workroom, Option 2, I can’t resist a pretty floral. Terrific party and awesome giveaway. Her stuff is stunning! She’s so talented. It was a hard choice but I would choose the Everyday Crafter, Option 3 fabric. Thanks for hosting another great one Donna. If you were a blob of paint… I would be black with heavily sanded edges! What’s your decorating style? my favourite passion is Primitives… but the pieces have to have a story… if I don’t absolutely love it, it isn’t in my house… it is a real challenge decorating with thrift finds but that is the fun of it all… makes you use that creative gene… sometimes it takes awhile for it to kick into gear though. Polly’s aprons are great, Donna! If I won, I would like the crafter’s apron in option #1 fabrics with my name “Kathy” on it. I love fabric although I’m discovering a love for working with papers and spray paint, too. Painting a piece of furniture. I’m so afraid it’s not going to come out right or I’m going to hate it. I have to remember what I always tell other people “it’s only paint”! I have to be very stern with myself. For instance, this morning I will be cleaning the house before I come back on my laptop for any reason. I have a few pieces of furniture I want to get up the guts to paint. I’ll be trying that out when I do my coffee table. A skill you want to learn: Nothing at this time. Current color love: I love combos with black ~ pink/black, green/black and black/white. What’s your decorating style? Maybe a little French thrown into a transitional mix. What’s your DIY specialty/passion? Painting and creating signs. How do you balance the blogging thing with real life? I have an idea of my posts for each week so it doesn’t take much time. Something you want to change: An old record player/radio console. Turn it into a French inspired buffet/sideboard. I build furniture and accessories from scratch with power tools. I’m with you, Donna, I don’t like drywalling. I just can’t get the mud and patches to look smooth. My children are no longer young, and I don’t have time to blog daily, so I just do it when I can. Unfortunately I really have to delete some blogs I’m following… even though I enjoy them, I just don’t have the time to read them. Better wood finishing, clear coating, etc. Country, but I’m going to do my basement in southwest and cannot find ANY decorating blogs with that style. I don’t believe I’ve ever entered a contest, but I’ll choose the Workroom Apron, Option 2 as my favourite. If I were a blob of paint I’d be a (boring) antique white with a little satin black and some cranberry red thrown in for good measure! I skill I WILL is using my new miter saw! Dad and step mom got me one for Christmas and I haven’t even had it out of the box! I balance blogging and real life because it is just me and the computer during the week – my girl stays on campus during the week! I want (need) the builder’s apron in black and white – love it! I could so use it when I’m out in my garage working away! I would choose the workroom apron option #1. Those are all very cute! I’m in love with the Workroom apron option 1-she is so talented! Thank you for the chance, have a great weekend! Junking…pure and simple. Taking unique junk items and repurposing them makes me smile! Crafts…glueing, cutting, ironing, anything with lots of details. I post, read, and comment when I can. However, I disagree that blogging is not “real life.” We are each real people, with real feelings and projects that we share, and real relationships that we develop with each other. Blogging might not be part of many people’s real lives, but I have made it part of mine. It is a real hobby that I enjoy doing. I have developed real friendships through it. Like any part of your life, balancing a hobby with work, relationships, etc. is important. Photography and graphic design…always want to know more! Whites and neutrals. Balance of lights and darks. It’s a mix of cottage, industrial, and earthy. Although I’m currently living in a mound of boxes and can’t see my way through the house, I’m going to stop and play along here. I welcome the break from unpacking. I only wish I could’ve been here all week cuz it looks like yall have had a lot of fun. I’m glad to be able to offer a giveaway that I know you gals can use. Uh, right now I DO look like a blob of paint! I would definitely be a warm rich gold – a comforting color that goes with most anything. Definitely sewing home decor and building small furniture pieces. I just love to take a stack of fabric or wood and turn it into something I can use in my home wveryday. I have to say the drywall, and boy did I learn my lesson recently after having to patch about a thousand holes in my last house before leaving. I’ve committed myself to using as few nails and screws in the wall as I can get by with from now on. How do you balance the blogging thing with real life? Well, I just have to lay blogging aside if real life gets to be too demanding, which is exactly what happened for the past two weeks. I try to share as much as I can, but can’t always do that effectively when I’m so busy. But I sure do miss it when I can’t be around blogland. I’d like to be able to create more available time in my schedule for myself. I’m by myself a lot, but I never have time by myself. Does that make sense? I’m sure some of you undestand exactly what I’m saying. I’m a workaholic and 98% of my time is spent on other people. I just want to change my life so that I can have at least an hour a day to do what I want to do, for me. Hope that doesn’t sound selfish. I want to learn more about doing electrical work. I’m tired of having call in an electrician when I need something beyond changing out a plug. I also want to learn to build larger pieces of furniture. Technically I know how, I just need to get over that hesitation to actaully start. Red, the weathered barn kind of red. And gold, the deep, rich, warm, cuddle up in it kind of gold. Romantic French. I like a lot of things around me, but not to the point of looking cluttered. I love creating vignettes around the house. I love luscious toiles and florals in my fabrics and a lot of flowers in my decorating. That is my style right now. In my next life I’m coming back as a lover of industrial loft decor with a bit of Manhattan color flair. Making something from or for nothing/getting the vision. Needing someone else’s help in the execution of the idea. Drywall–hate it whether I have to do it or not. Working outside the home puts up the boundaries. I look at blogging as my reward for working hard at home and work. I look forward to *my* time and definitely schedule it in at least once a week. I wish it could be more. Something you want to change: Usually my attitude. 🙂 I want to be more intentional in my friendships. I am so busy that I miss out on opportunities to share experiences with others in real life. What’s your decorating style? Funky Junk–oh, I forgot–that’s been taken–my style varies from year to year and from house to house. I guess I just like to always have that one wacky or unusual design element going on regardless of the style. The work aprons are so beautiful and the fabric choices are making me drool! If I was lucky enough to win, I would choose Apron #1 in colour option 1. The workroom theme and colours would be so perfect for the new hobby room I am in the process of finishing. If you were a blob of paint… (kidding!) I would be a beautiful beige, but I would be blobbed on ME because I tend to get paint all over me. What’s your DIY specialty/passion? Creating with fabric. I love simple sewing and quilting for our home. My projects are not perfect but I do enjoy working on them. If only all those beautiful colours and patterns of fabric were not so expensive. What’s your DIY dread? Finding a trim solution for our off center fireplace in the family room. It has been 11 years and I still don’t know how to tackle it. How do you balance the blogging thing with real life? I blog for fun when I have some free time from the family and full-time job outside our home. So what if I’m up until midnight some nights when the house is quiet, it is all about the creative inspiration I find. Something you want to change: The above mentioned fireplace wall and our stairs into the basement. Part carpet, part plywood and part chewed by my brother’s visiting dog. 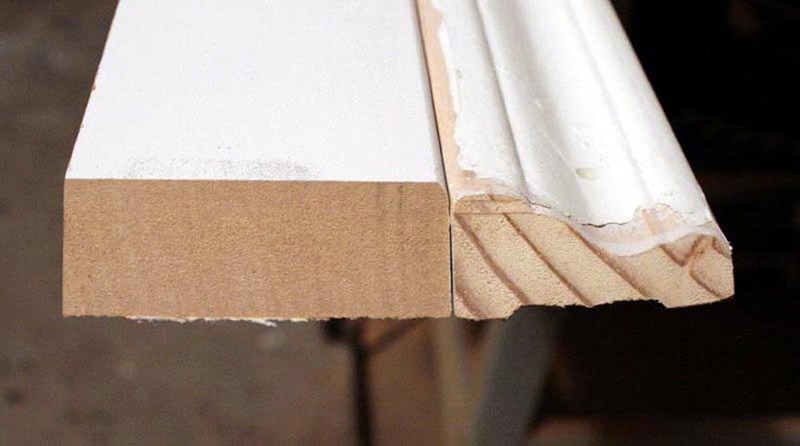 A skill you want to learn: Mitered corners on trim projects. Oh, and some more experience and confidence with power tools. Current color love: Neutrals like beige, white, cream, tan and black that I have always loved plus aqua and blues. What’s your decorating style? I wish I could name it! ‘Rustic lakeside farmhouse’?? I know what I like, but not what to call it. Wow I love these aprons- my favorite is the workroom apron with the fabric option #1. The party has been so fun! Love the Farmers Market apron in fabric option #1. Wow…I would like the everyday crafter apron…in option#3 the cherry fabric. Thanks for the giveaways…and happy 1000!! Love the aprons. I like the workroom apron option #1. I’ll have to come back to play. Leaving for church. Readoing old furniture, sewing something old into something beautiful. How it is goint to turn out! The basemen, it is cold down there, there is a gross brick on the whole fireplace wall, the carpet is gross, did I mention that the basement just looks gross? What’s your DIY specialty/passion? Turning sows ears into silk purses. What’s your DIY dread? I have yet to learn the power saw as I so like my fingers. How do you balance the blogging thing with real life? Deep heavy sigh. In order to maintain the “personal” aspect of my blog, which is so important to me, I am now limiting myself to 1 to 2 posts a week so I can respond to each and every comment. I too am also doing videos as it is less time to film than it is to shoot a million pics and still not get my point across. Something you want to change: I want to graduate so that I can have my life back. Thankfully this will happen next December. A skill you want to learn: I just learned soldering and next up is welding so I can make a lamp like those I featured last Monday. Current color love: It’s a good thing I am a designer, because every color can be beautiful if placed in the right setting. What’s your decorating style? French country meets the garbage dump. 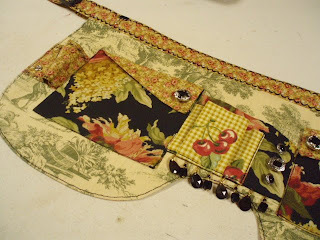 The giveaway I’m choosing is: The farmer’s market apron in fabric selection #3. I love the apron style and color palette. Wow Donna- you sure know how to throw a party don’t you? I love to transform plain and simple- be it furniture, clothing or just junk. Taking something and making it beautiful or useful again rocks my world. Saws. I am terrified of using saws..I am okay with the chop saw but that other big one scares me crazy. Well I constantly take pictures so have a vast arsenal of those waiting to be used. I usually check blogs when kids are eating breakfast and when they go to bed. I do projects in morning while all at school and do mom duties when they are home from school. I love to blog but realize that I love my kids and crafts more- so they are top priorities..which is as it should be or what would I blog about? My neighborhood and neighbors 🙂 But since that is not in my grasp I’d love to redo our master bedroom. Or rather do it as we never get around to that room always the rest of the house. That goes back to the fear and dread. I want to be able to use the saws without fear of death. White, beige, creams and a bit of black thrown in for good measure. Pretty much calming colors. Tranquil. What’s your decorating style? Well shabby chic, classic, a bit country farmhouse pretty much the same as my blog title- Tattered & Timeless. Now on the giveaway- I’d love the first apron the work horse in the first fabric choice..the blacks and whites..how cool is that thing anyway? My passion/specialty is doing things OVER and OVER and OVER again !! Knowing that it’s never good enough, and I’ll end up doing it OVER and OVER and OVER again !! I don’t !! Actually, I try to hop on EARLY in the a.m. before my precious kiddo wakes up … and then again while he’s at school. To sew !! I’m all over learning how to do slipcovers for my pillows so I can change them out during the seasons. hey there! i would love to win the farmers market apron #2! i have had the best time with you this week! thanks for that! How fun!! Ok, I would love the Farmers market apron in the 1st option pattern. How do you balance the blogging thing with real life? New to the blogging community, can see how it could become an addiction. So much talent out there. Right now, I schedule time in the am while having my coffee and in the evening after dinner. During the day, just too busy! Something you want to change: Kitchen cabinets. We are building our home as we save. We happened upon a bargain for cabinets (prior to the concrete even being poured) WE purchased everything they had, then designed our kitchen around them. They were not my first choice in wood, but we have made a lot of adjustments and added unique features…Still working on them to make them my own…. A skill you want to learn: Blacksmithing… as a young girl, would spend hours watching my dad create tools etc the old fashion way. Visit every blacksmith shop I find to gain knowledge. Hope to one day, have that on the farm. What’s your decorating style?The home we sold 3 years ago was done in all whites, I’m still drawn to them, but needed change. Natural stone work, wood, rust, mix with industrial stainless, galvanized etc… having lots of fun with it. workapron #2…she is one creative gal! Thanks for introducing her to us! I love the Everyday Crafter apron. I actually need the Workroom Apron more, but when I work, I work HARD. lol. It would be in rags on the first day….. So yeah, my choice is the Everyday Crafter apron. And my color choice is the #3, cherries one! I hope I win, I hope I win, I hope I win! I LOVE the Everyday Crafter apron with the cherry fabric…so cute!! What’s your DIY specialty/passion? Sewing and painting furniture although time has limited me. What’s your DIY dread? The mess I make and having to clean it up! How do you balance the blogging thing with real life? Well, it’s getting harder. I am introducing regular series so I can research ahead of time and have posts prepared. A skill you want to learn: I want to learn to speak Spanish. I’d say that is a skill. Current color love: I love neutrals, cool neutrals so I can mix any color with them. That’s how I change things out ~ accessories with color. What’s your decorating style? Traditional with a contemporary twist. Its somewhat like transitional design. The giveaway I’m choosing is: (just don’t forget!) I would like The Everyday Crafter with Option 3. Please put Paula Grace on it! Thanks for hosting Donna, Wow 2,000 followers will be here soon! Hey I LOVE this post. Love that apron…and the funny thing is if you met me…I am a big blob of paint…. I actually have to wear aprons when I’m crafting because I’m so doggone messy! Hahahaha….I have had paint in my hair and on my hands (not realizing it of course) at church….aaaahhhk….I’m the worship leader and I’ve gotten a few funny stares and looks…..
Oh well you have to craft when the mood hits you…or the creativity! Big smile. 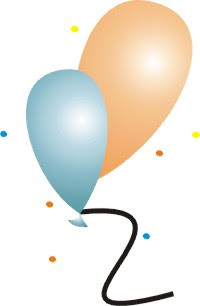 Wow….1000 followers…it is really no surprise…you have an amazing blog! These aprons are so cute and I love the fabric choices. My pick would be the workroom apron in #1 fabric option. What is my DIY dread…it has to be anything that requires sewing. My mom and grandmother were both professional seamstress and I cannot sew a straight line to save my life. How do you balance the blogging thing with real life? There is balance??.. I mostly blog a night when everyone else is sleeping. Polly’s aprons are so stinkin cute! If I had a choice it would be the farmer’s market apron with fabric choice #2. Thanks so much for featuring our stuff today! It means the world to us!!!!! Hey Donna, you do come up with lovely giveaways..I love this one, and have linked up one of the best creations of mine..
1. If you were a blob of paint..
2. Whats your DIY Passion? Paints and fabric flowers! I love painting and glam-ing up shirts,vases, styrofoam..just evrything! Sewing, so far…I fear the day when glue is no more available..am gonna buy a sewing machine soon, to overcome that! 4. How do you balance blogging with daily life? It seems simple, really even if I’m a full time management student..It all comes to one thing: If you love something with your heart and want to achieve it at any cost, it will come naturally to you! That’s all that counts, isn’t it! Oh yes, my photography skills! On a serious note: terrorism, global warming, and this restricting recession! 8. Whats your decorating style? Well, I like to spice up or glam up things..lots of colors and flowers, birds, leaves etc. So you could call me a glam-up girl!! Okay, now for the giveaway, I love all her aprons, but I’d choose, the Everyday Crafter Apron with color option #1. My email is on my blog, too..Thanks! 2. What’s your DIY specialty/passion? I am passionate abut the saving the environment through creativity. I love to redesign and repurpose furniture destined for the landfill. 4. How do you balance the blogging thing with real life? It is not easy. Still working on that. 5. Something you want to change: workroom space; it is so disorganized. I am a blue/brown girl for sure! The giveaway I’m choosing is: the blue and burlap workroom apron. If you were a blob of paint… RED! What’s your DIY specialty/passion? do I have to choose 1? I love re-decorating! What’s your DIY dread? anything with math I often ask the hubs, or make things close enough! Hence all the holes in my room that need patching! How do you balance the blogging thing with real life? I blog mostly at night once the kids go to bed, but I am on during the day on weekends. Something you want to change: how I spend money, I need to become a saver! A skill you want to learn: How to use my serger to its full potential! What’s your decorating style? how do you classify junky? I love to re-purpose items, but it must look clean, not cluttered, and I like to keep things simple. The giveaway I’m choosing is: I love them all, but I would choose the workroom apron! The aprons are so detailed–wonderful. I would choose the workroom apron in fabric choice 1. -Making things out of junk, finding creative uses for a common object. Sanding–I hate sanding, keep waiting to make good $ at this so I can hire that part out! Not sure, but limit my time. I tell myself I am going to check out 10 blogs only, leave comments and be done for the day. Still-so many amazing ideas out there. Personally–my belly, not pretty after 4 children. Also want to find time every day to make something creative. Welding and how to use a router. tans, browns, creams, blues, oranges, greens–totally depends on what I am feeling! I love this blog though I don’t comment much, just love the ideas and motivation! My favorite item, if I were lucky enough to win would be the Farmer’s Market Apron (#2) with fabric choice #3. The only questions I can answer are current color loves: blues with browns and cream and my decorating style is bohemian traditional. What’s your DIY dread? Sanding and prep work for painting. How do you balance the blogging thing with real life? I try to catch up in the mornings and post at night. If you were a blob of paint… (kidding! )I’d want to be mixed with all the colors in the rainbow to create happiness to those who got see us. What’s your DIY specialty/passion? Decorating, creating vintage style items. What’s your DIY dread? kitchen cabinets. They take so long! How do you balance the blogging thing with real life? I create a post or two in advance and select posting options for later days. Something you want to change: Turn restless energy into creativity. Current color love: Always red and muted greens, cream and anything worn looking. The giveaway I’m choosing is: (just don’t forget! )The work apron! The color choice #1, the black and tans. Beautiful! Thank you for hosting this fun giveaway. What a great giveaway. I’d live to win the everyday apron in the red with the cherries fabric. I think that was color choice #3. – What’s your DIY specialty/passion? Remaking funiture, and finding good knock offs! – What’s your DIY dread? It was staining, but now I’ve conquered that fear! – How do you balance the blogging thing with real life? – Something you want to change? My cleaning and organizing skilss. I’m really bad at that. – A skill you want to learn? Blues and greens. Especially pastels and apple greens. French Country Mondern, or Irish Farmhouse. That farmer’s market apron is adroable! I could use that every once in a while! If you were a blob of paint… I would be robin’s egg blue. What’s your DIY specialty/passion? Figuring out how to do it, build it, make it, etc. What’s your DIY dread? When I think of the plan my strength won’t always cooperate to get the job done. How do you balance the blogging thing with real life? I neglect writing the blog but I love reading others! What’s your decorating style? classic country in my head but hodgepodge in my house. Hi Donna – What a fun way to get to know your followers a little bit better. If you were a blob of paint… I would be a mix of warm neutrals with white and purple accents. I can’t choose just one blob, I am complex. What’s your DIY specialty/passion? Re-working old stuff. My friends leave cast-offs anonymously on my doorstep. What’s your DIY dread? The prep work involved. How do you balance the blogging thing with real life? It is hard, I work F/T so I schedule everything. Something you want to change: The state of the economy so my husband can be re-employed and I can blog full time. What’s your decorating style? Clean lined classic with a touch of the beach thrown in here and there. What’s your DIY specialty/passion? I love to reuse things. I like to help others realize they have a creative streak. What’s your DIY dread? Sanding. How beautiful! I’d have to pick workroom apron #1… but each and everyone is just amazing! Love-love-love them! I WOULD LOVE THE EVERYDAY CRAFT APRON WITH THE CHERRY FABRIC OPTION. What’s your DIY specialty/passion? Getting my hubby to do it. I don’t have a specialty. My passion? I need a passion. I’m pretty lazy. I love knocking off stuff. What’s your DIY dread? Doing the actual work. I told you I was lazy. How do you balance the blogging thing with real life? I don’t. I blog when I feel like it. I’d much rather blog that do. Something you want to change: I wish I was more motivated to do stuff. A skill you want to learn: Running power tools. What’s your decorating style? It used to be Shabby Chic. I still like it, but I am now drawn to black & white or more neutral colors. I love cottage. I love vintage. The giveaway I’m choosing is: I choose the Farmers Market apron in fabric option #3. I really enjoy the Workroom apron option #1. I really like the workroom apron #1! I love the full body apron with the cherries. They’re all cute though! I think I love the Farmer’s Market Apron the best and the fabric #3 combination. I just LOVE aprons and she does a great job! So lovely – the Farmer’s Market Apron would get well used/loved around here – I’d probably choose FMA #3 with the aqua blue tones. So pretty yet functional! What’s your DIY specialty/passion? It’s newly found, and that is upcycling thrift store finds. Particularly furniture. What’s your DIY dread? Painting moulding. Any kind, floor, ceiling, chair rail. Doors. Ugh. I am new to blogging, is this going to become an issue??? Something you want to change: my bedroom. Nuff said. A skill you want to learn: Metal working with jewelry. Current color love: All. Too many to choose just one. I love black, French Blue, spring green, colonial red. What’s your decorating style? leaning toward French Farmhouse and Cottage, yet I have an ecclectic home. The giveaway I’m choosing is: Everyday Crafter Apron in option #3 – with the name Lisa. Awesome giveaways! Thanks so much for the opportunities to win! Oh how I love the farmer’s market aporn option #1. I can see it on me now!!! I think my mom would love the farmer’s market apron #1, so I hope I win it for her! Thanks for the blog full of fab ideas & the chance to win! Love the Farmer’s Market apron in color #3. What a fun party! Wooo hooo! I really want to learn how to use power tools. Right now they kinda scare me, especially saws…..eeek! Thank-you for all your entries! The contest is now closed. A winner will be announced soon.